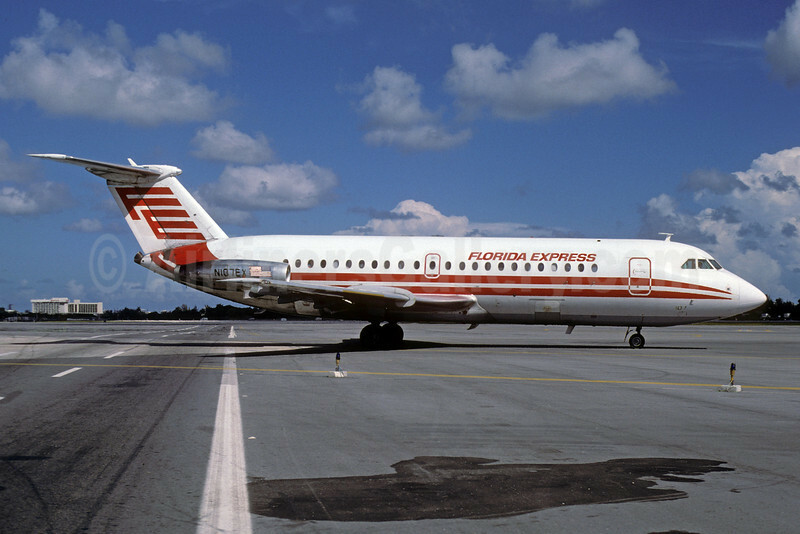 (ZO/FLX) (Orlando) 1984 - 1988. Photos. Framable Color Prints and Posters. Digital Sharp Images. Aviation Gifts. Slide Shows. Florida Express BAC 1-11 201AC N107EX (msn 085) MIA (Keith Armes). Image: 921903.